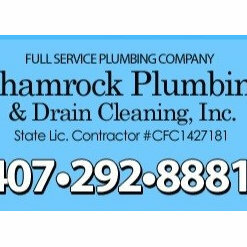 1 Project for Shamrock Plumbing & Drain Cleaning, Inc.
2 Reviews for Shamrock Plumbing & Drain Cleaning, Inc.
We did not have a good experience with Shamrock Plumbing. We chose them as there were so many good reviews and they were cheap. I guess you get what you pay for. Bad choice for us. We had plumbing roughed in the basement for a bathroom and Shamrock surprised us by not finishing the job and failed to communicate we needed walls roughed in before they could finish. Instead they snuck out the back door and didn't tell us they were leaving. We had a hard time getting in contact with the office to figure out what was happening with our bid. When they eventually came back, they did finish the bid for the bathroom. In that time, we noticed a crack formed on the bathtub in the basement after their install. The bathroom was not complete and was never used. We were told they were not responsible. They also bid to move a gas line in our kitchen and did not tell us it didn't include the install. We installed it ourselves. There is a hissing sound every time we turn the stove or oven on and it takes a long time for the oven to heat up. When we brought it to their attention (since it is a safety hazard), we were told there were no problems and they refused to look at it. Now we smell gas every time we turn the stove or oven on. Still a hazard. We now have to find another plumber to come and fix the things Shamrock broke or refused to fix. I would not recommend them and regret accepting their bid. They were a pleasure to work with from quote to closing out of the permit. 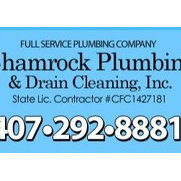 If you are looking for a plumber to give outstanding service call Shamrock. Their re-plumbing team was wonderful.